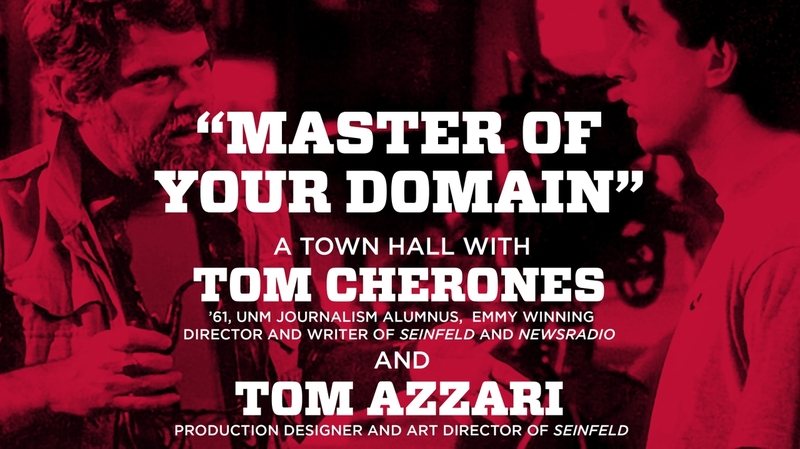 “Master of Your Domain” a town hall with UNM alumnus Tom Cherones, the Emmy winning director and writer of Seinfeld and Newsradio, is being held on Tuesday, Sept. 26 from 3:30-5 p.m. in the Rodey Theater. Joining Cherones for the town hall is Tom Azzari, production designer and art director for Seinfeld. Students from Communication and Journalism, Theatre, IFDM and Cinematic Arts are encouraged to attend. Tom Cherones earned his bachelor’s degree from the UNM Department of Communication and Journalism in 1961. From 1961-1965, he was a lieutenant in U.S. Navy. Tom also holds a master’s degree in telecommunications from University of Alabama. His first directing job was an educational film, and his first work after moving to Hollywood was as a production manager for General Hospital. 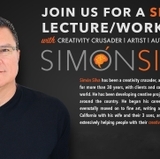 Cherones began as a television director on My Sister Sam in the 1980s. In the 1990s, he became noted for directing and producing 81 episodes of Seinfeld and 56 episodes of NewsRadio. His work on Seinfeld won him high praise as well as an Emmy, a DGA Award and a Golden Globe Award. In 2003, he was inducted into the Alabama Stage and Screen Hall of Fame. Tom Azzari is a production designer and art director, known for Seinfeld, Alice and Caroline in the City. 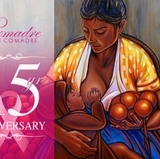 The event, cosponsored by the College of Fine Arts and the Department of Communications and Journalism, is open to the entire UNM community.